Jimmy the Gun: Girls Are Evil. Here's Proof. I originally posted this a long time ago, but my blog was not mature enough to leave it up. Here we go: Girls are evil. 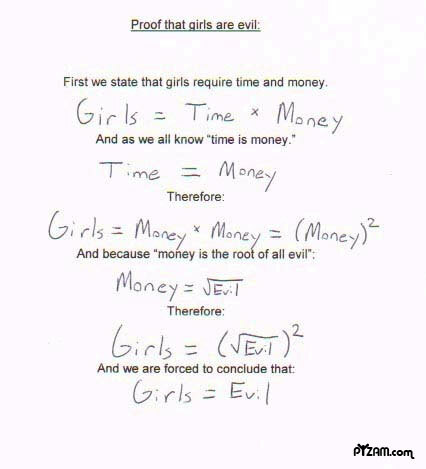 This is proof, mathematical proof. And math transcends language, culture, and even species. It's Science.